The theory presented on September 10 and November 19 proved useful enough to predict White House Chief of Staff John Kelly's departure. No one announces in advance that someone is leaving—before the departure, without also announcing a replacement. Nobody cares about a boss whose boss already announced would be leaving. That's how to cripple any malevolent powers of an administrator that can't be quickly unplugged, but needs to go—and do so without raising suspicion that the administrator did anything wrong. Even in his dismissal—not a "retirement"—Kelly fits the bill as the author of the "New York Times essay", right down to getting tossed out in a way that no one would suspect a darned thing. France is in trouble. The president who snubbed Trump has fallen into disfavor with his own people. This largely comes down to grandiose promises made by socialist agendas that everyone should have known could not deliver because of foresight rooted in hindsight. Socialism never delivers anything but what we see in France now. As for ado about Brexit, there's no point in worrying so much since the queen can decide anyway, if she wants to. That's what the British always tell Americans is so wonderful about the UK's constitutional monarchy. But, acting like this is a problem helps keep the British press afloat. A Trump campaign payment is now being compared to a situation with 2004 Democratic candidate John Edwards. But, that has three major holes in its boat: 1. The accusation encircles alleged campaign finance violations surrounding the Trump organization's lawyer, Cohen, whose job it was to give legal advice; Trump is not a lawyer, Edwards was. Can a lawyer be witness against the client he advised, or secretly recorded? 2. The Mueller investigation sought to understand whether there was wrongful involvement with Russia and Trump. The Fourth Amendment limits the scope of search and seizure to a probable cause and any seized items must be specified by the warrant in advance. By starting with an investigation between Trump and Russia, but ending with a campaign finance accusation against a candidate accused by the lawyer who advised him, this has gone well beyond the scope that the Fourth Amendment was intended to limit. If courts allow this, it shows how much our legal justice system has wandered from the Constitution. 3. The electorate will want a good explanation for why Hillary wasn't treated this way. The best reason so far would be that the courts have been usurped as a cudgel for political rivals. It's not Trump who needs to be worried about an indictment; it's the legal justice system itself that is about to go on trial. There is a threshold of tolerance that every human has for the number of rules that can be understood and obeyed. There is also a threshold of chaos that a human can tolerate. Rules exist to keep the chaos from crossing that threshold. But, once the number of rules crosses that threshold, the rules and the chaos are no longer distinguishable. It’s all just oppression. Humans can only take so much. America’s Declaration of Independence was not only over having too many rules, it was also based on an excess of unchecked chaos. England had imposed too many rules than could be obeyed, but those rules did not prevent chaos; they arguably created more. Rules are not always bad or good. They must created neither liberally or conservatively. Rules must be minimally used for maximum prevention of chaos. Once the people realize that number of rules and chaos have crossed the threshold of tolerance, the rule makers and rule enforcers are instantly seen in a different light. This programming is hardwired into the human psyche. It requires no organization and no marketing. It is every bit as innate as sleeping when tired. Humans arrive at the point of exhaustion without propaganda. Ending tyranny and raising leaders is pure human instinct. People will do these on autopilot. They only need to think of “how” once nature has begun its course. Beginning with the W administration, the number of tolerable rules in America skyrocketed. With Obama, that number increase and chaos simultaneously skyrocketed. Today, we are just crossing the threshold. So, only about half of the people have any concern, the other half label the first half as “alarmists” and blame propaganda. Right now, the infatuation with Trump and Sanders stem from the “how” question that the people in the United States are asking after leader-tyrant instincts automatically kicked-in. People view Trump and Sanders as the most healthy, peaceful way people see to exercise that instinct. But, the calm-obsessed elites, trying to control people rather than understand them, believe that the Trump phenomenon is a result of propaganda. They may have miscalculated. Look at Brexit: People can only take so much. Leaders who push the threshold are always surprised when they cross it. Britain’s stunning vote to leave the European Union is both historic and world-changing, but what does it really mean for Americans living on the other side of the Atlantic? Potentially, everything — the economy, national security, even the race for president will be affected. 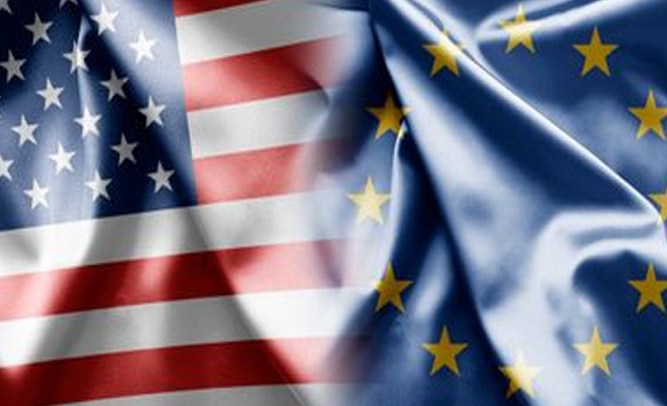 Some Americans are now demanding that the United States follow suit and leave the EU. When Hagelund was asked if she meant the UN, not the European Union, she admitted she had been mistaken. “Yeah, them guys,” said Hagelund.